The moment you enter the world of PUBG, you know you've been thrown into the realistic world. PUBG has a military inspired look layered on top of the nail-biting concept. Fortnite, on the other hand, is a bit cartoonish. Its striking colours and animated characters take the punch out of the whole battle royale mode. PUBG, on the other hand, goes all out to keep the battle as real as possible. For e.g. the technicalities related to the gun are exceptional and closer to reality in PUBG. The graphics on Fortnite don't even come close. Both PUBG and Fortnite follow the similar 'survival of the fittest' mantra, but things are a little complicated in Fortnite. PUBG, in comparison, is simpler with straightforward gun-fights. Fortnite gives its players lot of room to plan and play imaginatively. It lets its player's strategise and think creatively about the situations. PUBG doesn't give you the luxury of playing a 'wait and watch' game. 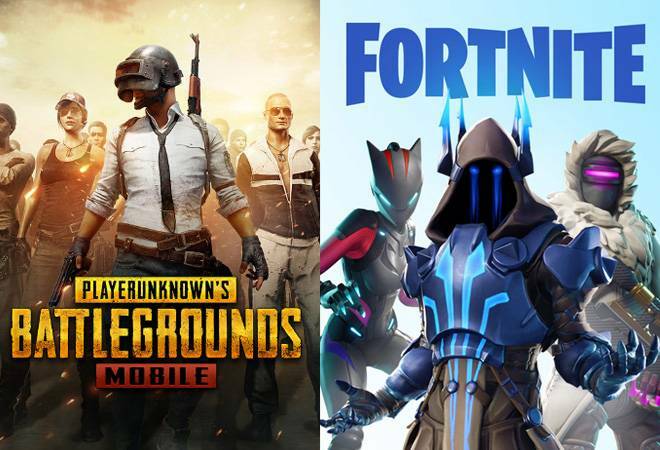 Both PUBG and Fortnite are available on PC, Android, iOS, Xbox and PlayStation. However, the cross platform experience of Fortnite is much better than that of PUBG. Fortnite on mobile is fundamentally the same game as the other versions of it on other platforms. User accounts, advancement, skins etc. are shared allowing you to easily switch without losing the continuity. PUBG has different versions for different platforms and therefore the release date of an update, for example, varies from one platform to the other. PUBG Mobile also has a mobile-only arcade mode with smaller number of players to bring matches down to a more mobile-friendly duration. Unlike PUBG, Fortnite has just one map. Epic Games is doing a variety of things on that single map. PUBG, as we all know, now has four maps: Erangel, Miramar, Sanhok and Vikendi. The maps in PUBG are based on real life settings. It is difficult to find players playing the game on a similar platform. Therefore, Fortnite has allowed crossplay i.e., it is easier for someone playing Fortnite on mobile to play with his friend on the PC. The ability of Fortnite to do this is one of the main reasons for its popularity. On the other hand, PUBG doesn't support crossplay on any of its platforms. On PUBG, players must be on the same platform to play with each other. To sum up, both the battle royale games have lots of similarities and few differences. None of the dissimilarities, however, has managed to stall the success of the games. Both, Fortnite and PUBG are loved by the gaming community and are worthy of the praise they have received. Also Read: You don't need high-end flagship phones to play PUBG!